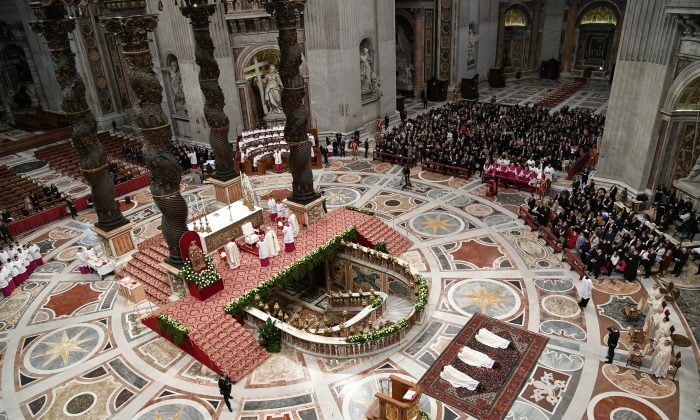 In a move condemned by a transplant ethics group, the Vatican has granted legitimacy to China’s organ transplant system by inviting the head of the Chinese communist regime’s official transplant registry to speak at a Vatican panel earlier this month. For the past two decades, patients in desperate need of an organ transplant have traveled to China for surgery, where they report being able to procure a matching organ within days, weeks, or months—far shorter than the waiting periods in their home countries, where organs are obtained from donations. Through extensive investigations conducted by human rights lawyer David Matas and former Canadian Secretary of State for Asia-Pacific David Kilgour, evidence has emerged that the Chinese regime is harvesting organs from prisoners of conscience. The investigators’ research indicates that most of the prisoners, who are killed in the process, are adherents of the spiritual practice Falun Gong, a meditation-based discipline that has been severely suppressed by the Chinese regime since 1999.
International condemnation prompted the Chinese regime to establish a national voluntary organ donation system, called the China Organ Transplant Response System (COTRS), in 2013, which the state claims is the only means by which it distributes donated organs. In 2015, the regime also announced that it no longer obtained organs from executed prisoners. Reports of organ transplants performed in China without transparency regarding sourcing—and with matching organs found for patients within only days and weeks— continue to emerge. However, the Chinese regime has yet to enact new regulations or laws expressly prohibiting the procurement of organs from prisoners. Meanwhile, reports of organ transplants performed in China without transparency regarding sourcing—and with matching organs found for patients within only days and weeks—continue to emerge. China’s official organ donation data also lacks transparency, raising further concerns that the regime’s claims of reforms are not credible, according to a letter drafted by members of the International Coalition to End Transplant Abuse in China, a group of medical professionals, academics, lawyers, and human rights advocates who seek to end the practice of forced organ harvesting in China. The coalition noted that the regime has 12 different official databases for transplant activity, none of which are accessible to the public. Meanwhile, the COTRS only provides a total number of donated organs and donors, without any breakdown by hospital, locality, or time period—making it impossible to confirm the veracity of the numbers, according to the letter. Medical ethics requires public access to organ transplant databases, such as the United Network for Organ Sharing (UNOS) in the United States, according to human rights expert and Coalition member Louisa Greve. The U.S. database provides data on every organ donation and transplant since Oct. 1, 1987, with medical data on organ donors, recipients, and candidates who are on the national waiting list, according to the UNOS website. 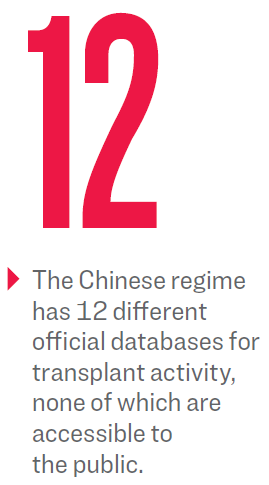 Without that kind of transparency in China’s organ transplant data, “it’s irresponsible for international organizations to accept reform claims by an authoritarian government with a completely opaque organ-procurement system,” said Greve, in an email interview. She called on the Pontifical Academy, the World Health Organization (WHO), and the Transplantation Society to cease cooperating with the Chinese regime until it can provide such data. The Chinese regime has continually refused to acknowledge the procurement of organs from prisoners of conscience, who are often sentenced outside of judicial proceedings. In a March 14 interview with Italian newspaper La Stampa, Wang claimed that China allows for religious freedom and does not procure organs from “political prisoners.” “There is no capital punishment for political prisoners,” Wang said. 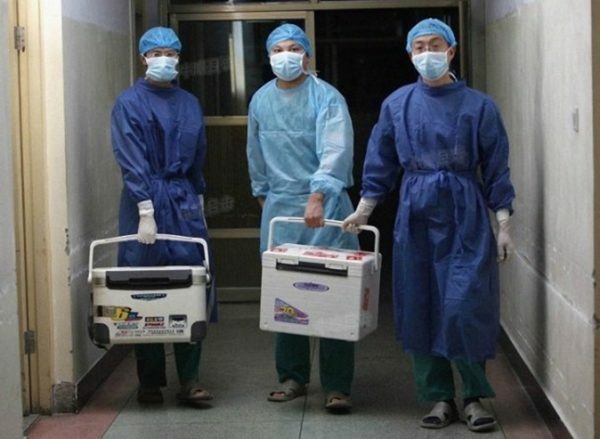 Despite the regime’s 2015 claim that it stopped taking organs from executed prisoners, the medical community remains concerned about unethical organ transplant practices in China. In several medical journals, including the American Journal of Transplantation and the Journal of Medical Ethics, doctors have called for a ban on working with transplant doctors in China until reforms can be independently verified.